Ireland is willing to do more on migration including taking more refugees and giving financial support, said the Taoiseach. Speaking ahead of next week’s June summit where the migration issue could trigger a major political earthquake in Germany and across the EU, the Taoiseach committed Ireland to giving more as a way of repaying the solidarity Ireland has received over Brexit. It’s about “solidarity and burden-sharing”, he said. “We are in favour of the European Commission proposals to ensure that all countries share in taking refugees and we’re willing to do that. “We’ve already given a commitment to accept 4,000 and they’re mostly coming from Italy and Greece; that number is yet to arrive. “So we haven’t set a new figure as yet but in principle we’re willing to contribute to all of them,” he told the Irish Independent. The new Italian government – made up of far-right anti-immigration politicians – has demanded the issue returns to the front of the EU’s agenda. Italy and Greece have born most of the burden of the refugee crisis as they are the top landing spots for migrants coming from the Middle East and Africa. In Germany, Angela Merkel is facing down serious calls from within her coalition to tighten refugee laws. Some observers say it could lead to her resignation. Mr Vardakar defended immigration, saying: “On balance migration is a good thing; Europe needs migration. But, he said, “it does need to be managed; it can’t be uncontrolled and the fact that it has been uncontrolled has given rise to far-right and nationalist/populist forces across Europe and that has to be a bad thing”. He said the solution lies with treating the problem at source. “We need to remove some of the reasons people migrate; remove some of the reasons people risk their lives and pay traffickers huge amounts of money to get to Europe. 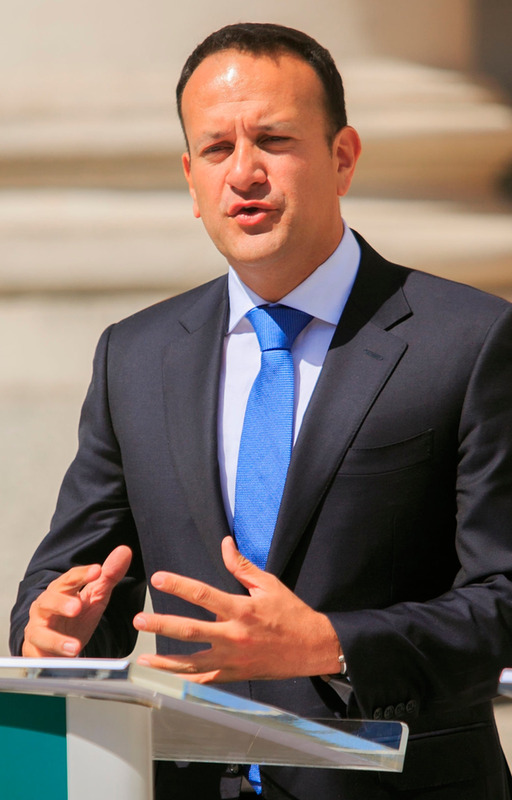 “The reason people do is they live in unsafe places where there is no economic opportunities,” said Mr Varadkar. Ireland can help by “doing more in Africa and Middle East to reduce push factors, and more burden-sharing which would involve accepting migrants and making financial contributions – we’re willing to do that,” he said.